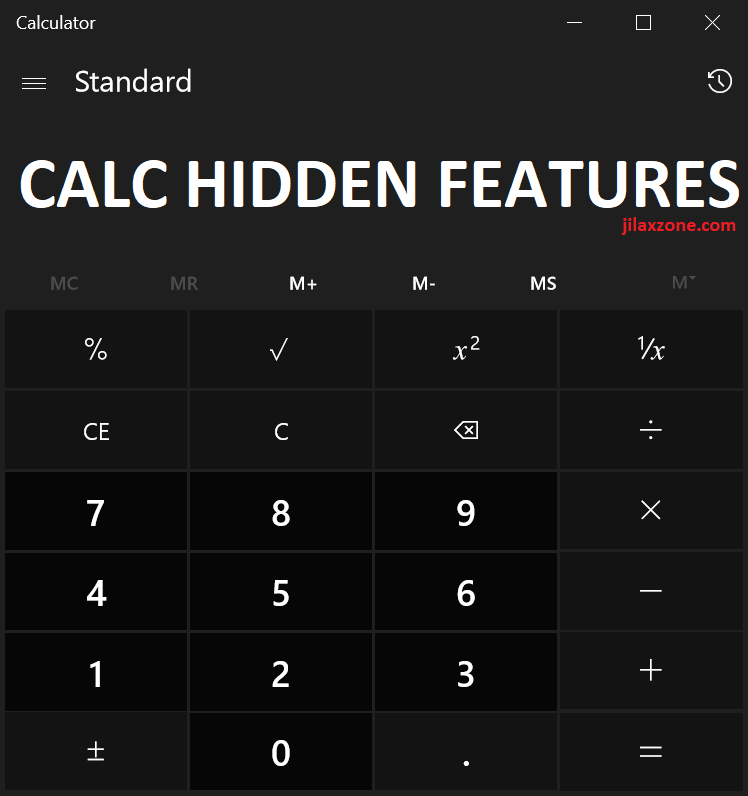 Not sure whether Windows 8, Windows 7 and other Windows before it has this hidden features inside Calculator, but believe me, I was only finding this hidden features today after awhile using Windows 10! Now who also doesn’t know this? Don’t tell me it’s just me, myself only. Do raise your hand or mention on the comment section below if this is your first time knowing as well. 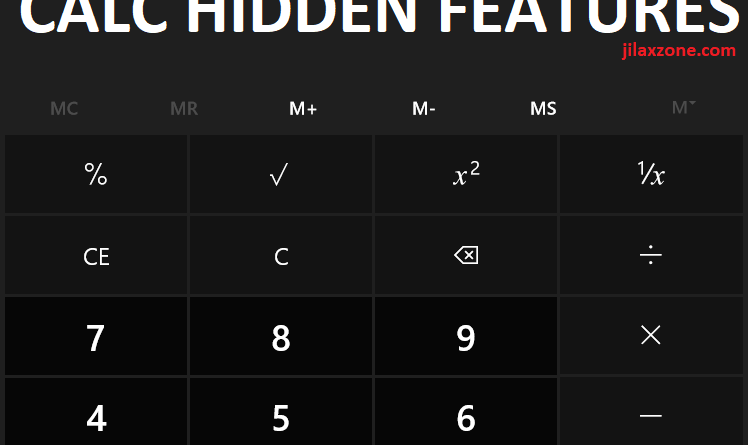 Here’s how to reveal the Calculator hidden features. 1) Open Calculator on your Windows 10. The easiest way is to just type “Calc” on the search bar “Type here to search”. 2) Once Calculator open, notice that it has “Standard” label and burger button (the 3 lines button). Hit that burger button. 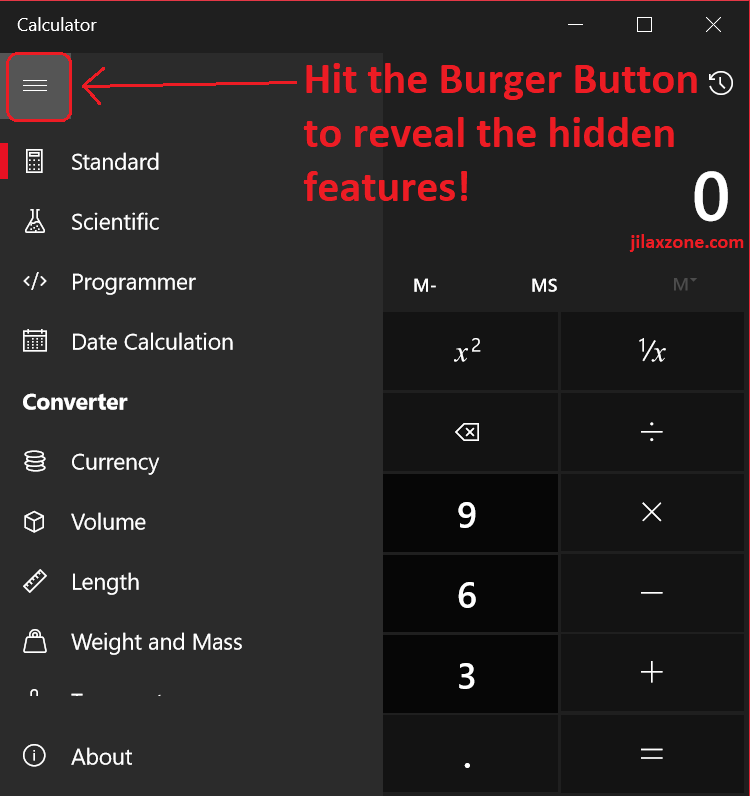 Once you hit the burger button, Calculator will reveal all of its hidden features! Calculator: Standard (the default you keep seeing and using), Scientific, Programmer, Date Calculation. Converter: Currency, Volume, Length, Weight and Mass, Temperature, Energy, Area, Speed, Time, Power, Data, Pressure, Angle. Well, in Internet and Google era like this, it’s as easy as opening the browser and start typing anything you would like to find, so this Calculator hidden features are not really useful. However, that wouldn’t be the case whereby you have either no-internet access at all or limited. Or while you are at school and your teacher ask you some calculators or conversion, you could easily type it on the Calculator and get the answer. What do you think?